It seems that the restaurant scene in Sonderborg is on its way up, with new options for us to try. 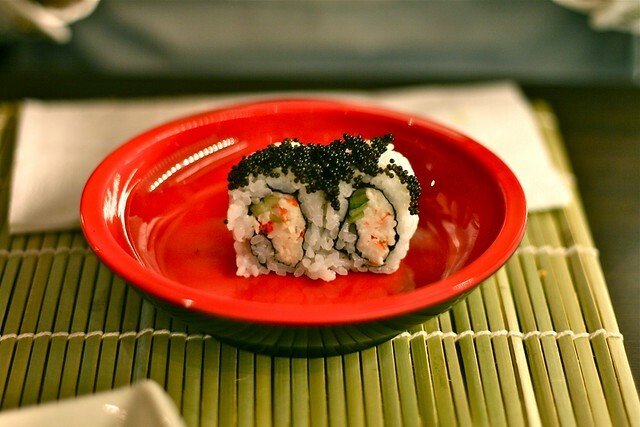 After Huset Blom opened earlier this year, the end of March saw the opening Niso Sushi. Niso Sushi follows a running sushi concept. This means that food is plated onto small dishes and placed on a conveyor belt on which it runs through the restaurant. The tables are then organised around the conveyor belt. So you can sit and grab any plate that takes your fancy from the conveyor belt. (If this is not to your liking, there is also a menu you can order from). Also, unlike most other running sushi bars, where you pay per dish you take, the system here works as an ‘all you can eat’, so you can taste all that catches your eye. 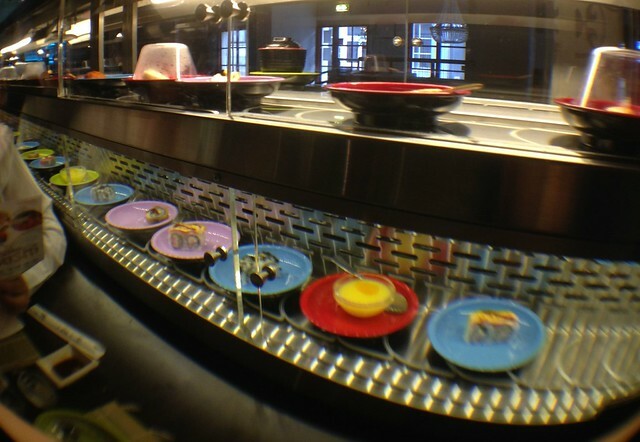 The food is presented on two conveyor belts running on top of each other. On the bottom cold items while on the top belt run the warmer dishes. It was nice to see that the conveyor belts themselves are covered, rather than open to the air! As is to be expected, the main items on offer are sushi, that is a rice base which is complemented by other ingredients such as vegetables, fish or meat. These were served on the lower belt. On the top belt other dishes such as miso soup, dumplings, edamame beans and meat on kebabs were served. The food was a success. If I had to find the least impressive dish that would probably be the soup as I wasn’t that keen on its gelatinous texture. However, I loved the sushi. Especially one of the fried sushi pieces, and one of the rolls with sesame on it. I know, my descriptions are not the best…we are not Asian food experts…but it all tasted good. On entering the restaurant, I was impressed with how friendly the people were. 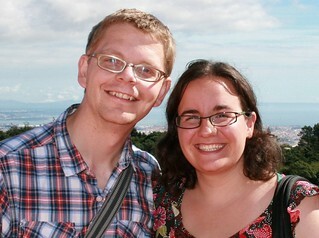 They greeted you, they smiled, and looked genuinely interested in making the experience a good one. On sitting down at the table, I was also impressed at the cleanliness. This being a conveyor belt, with people taking items off it, I expected to see some dropped food etc. But it was spotless! It was also good to see that the conveyor belts continuously had food on them, with new food continuously coming. Since we were not sitting at the start of the conveyor belt, there were, of course, empty spots. However, this was insignificant, considering that the conveyor belt was constantly moving. I was a bit sceptical about this aspect of running sushi bars, but it was clear that people were constantly working to replenish the food (and doing a good job of it). NIso Sushi is open Monday-Thursday 11:00-21:00 and Friday – Sunday 11:00-22:00, with running sushi bar starting every day at 17:00. The running sushi costs 168 DKK Sunday to Thursday and 188 DKK on Fridays and Saturdays (kids: 69 DKK). A big thumbs up to this new addition in Sonderborg. It also augurs well to see that the restaurant was quite full when we visited on a Sunday night. This entry was posted in Restaurants and cafes and tagged conveyor belt, Huset Blom, miso soup, Niso, overeating, restaurant, running sushi, Sushi by Ann. Bookmark the permalink.